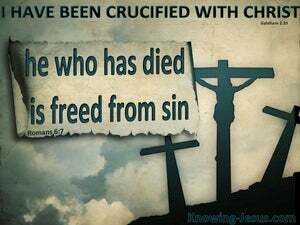 What could be more glorious than to know that we are forgiven of our sin, redeemed from slavery to sin and saved from eternal condemnation by God's amazing grace.. through faith in the redemptive work of Christ - and yet some would argue that this superabundant grace not only permits the believer to keep on sinning, but encourages a life of sin. 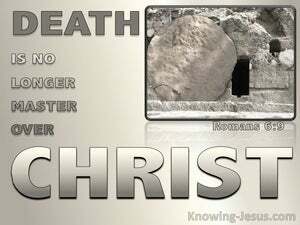 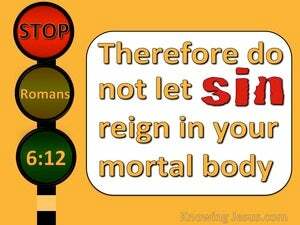 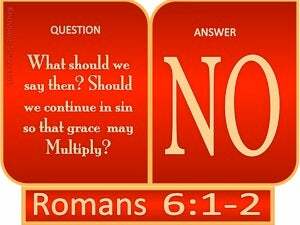 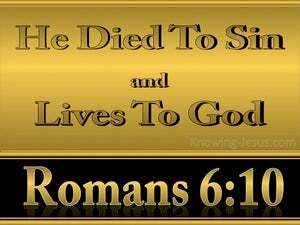 God forbid, is Paul's emphatic response, how shall we, that are dead to sin, still live in sin? 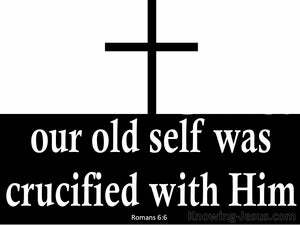 Just as the work of the cross provides salvation when we believe it to be true - in the same way the work of the cross also provides victory over the old sin nature when it is believed. 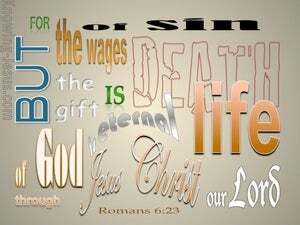 We need to understand that the sin nature remains with us until our life on earth is ended – but the blood of Christ has given us victory over the functioning power of the sin nature within our life. 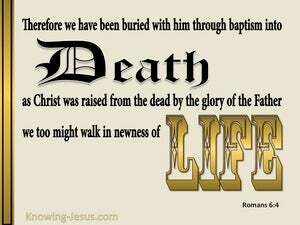 How important to know what our salvation means, and Paul tells us that the moment we trust in Christ we are baptised by one Spirit into His BODY - the Holy Spirit placed us into Christ Jesus and we became members of His body, which is the Church. 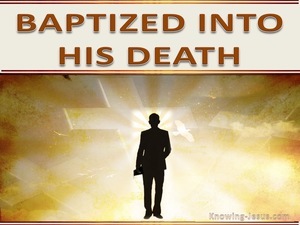 The moment that we were born again, the Holy Spirit takes us from the kingdom of darkness and places us into the kingdom of God's dear Son - we are baptized into the body of Christ and become one with Him. 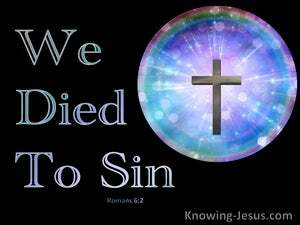 Sins are forgiven, we are indwelt by the Holy Spirit, fellowship with the Father is reinstated, we become children of God, citizens of heaven and placed in unity with Christ Jesus our Lord. 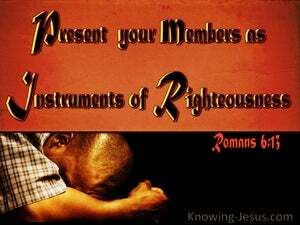 Paul longed to know Christ and the power of His resurrection but his heart was also to share in Christ’s suffering, for he desired intimate association with the Lord Who bought him, in the everyday circumstances of his life. 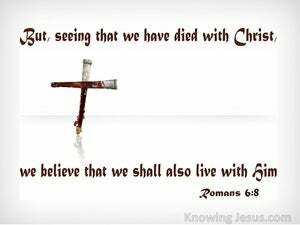 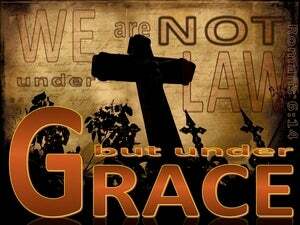 We who by God's grace have been placed IN Christ by faith, are identified with Him and He with us. 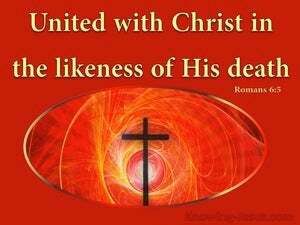 Indeed when we start to truly understand the significance and importance of our mutual identity.. we begin to understand the depth of the riches of both the wisdom of God.. and His gracious love towards us. 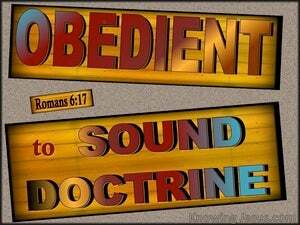 God spoke the world into existence and by His Word He declared His unchanging and unchangeable laws into being and so often in Scripture we see God’s principles laid out so simply and yet we are often unable or unwilling to apply His instruction in our own lives. 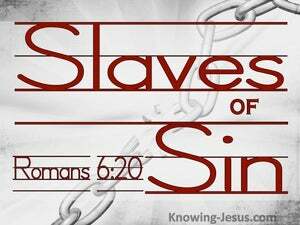 Paul here contrasts God’s principles of servitude and slavery with the liberty and freedom, that is in Christ Jesus, so that we may live godly lives by rejecting the former and applying the latter. 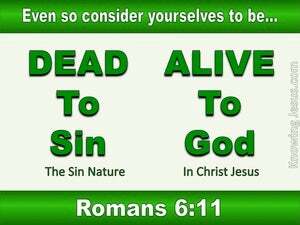 Paul is setting out the only two options for life that are given to believers. 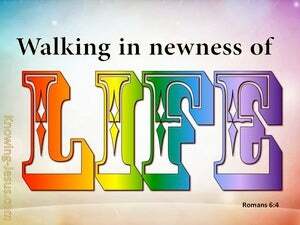 He explains the differences between the two choices we have; the benefits we derive and the consequences of our decisions.. and they depend entirely upon which of the two paths we choose to take in our Christian life. 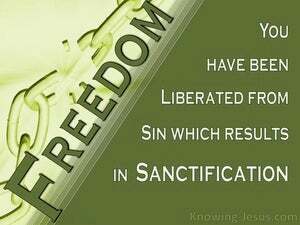 In His final message to the disciples, the Lord Jesus explained that knowledge of the truth was man's greatest freedom, in a world that is enslaved by sin, oppressed by Satan, condemned to death and bound for hell. 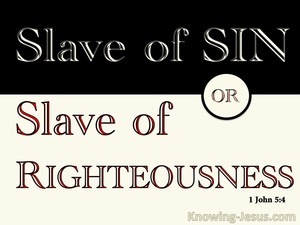 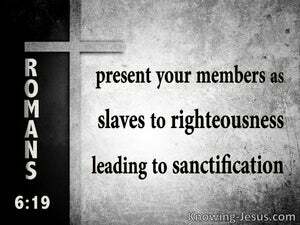 And here is this verse we find that Paul is expressing the same truth, in a way that appears to be somewhat incongruous on the surface, for we read: when you were slaves of sin, you were free in regard to righteousness.